Take part in the biggest annual Potomac River cleanup and restore healthy shorelines by removing litter, debris and trash from river access spots across Maryland, Virginia, West Virginia, Pennsylvania and Washington, DC. 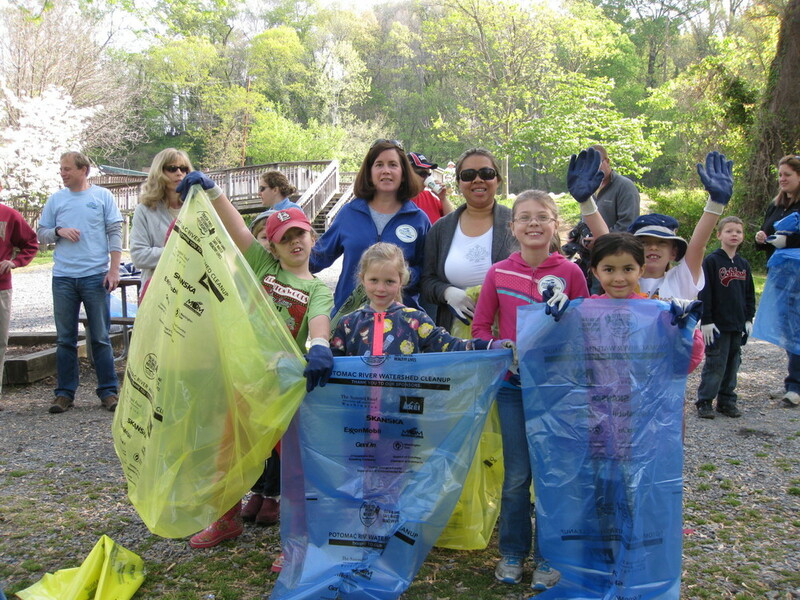 On April 5, 2014, Alice Ferguson Foundation hosts its 26th Annual Potomac River Watershed Cleanup. Mark your calendars and keep your fingers crossed for sunny weather! Join Potomac Conservancy at one of our three host sites from 9:00am – 12:00pm. Last year, 190 volunteers participated at one of our sites and removed over 3,740 pounds of trash from the Potomac’s shores! Interested volunteers can register by emailing Rebecca at long@potomac.org. Housed in a historic lockhouse along the C&O Canal National Historical Park, the River Center at Lock 8 offers visitors a chance to learn about the Potomac River, the C&O Canal, and nearby recreational opportunities. The River Center is located in Cabin John, Maryland roughly halfway between the National Park Service interpretive centers in Georgetown and Great Falls. Fletcher’s Cove is located along the C&O Canal National Historical Park on the Potomac River, between Chain and Key Bridges. Just minutes from downtown Washington, DC, Fletcher’s has hosted fisherman and recreationalists since the 1850s. Nestled along the Potomac River, between the John F. Kennedy Center and the George Washington Memorial Parkway, Theodore Roosevelt Island is a national memorial to America’s 26th president. Visitors can venture through the island from one of its many nature trails, take in sweeping views of the river and city scape, and canoe or kayak around its shores. In 1989, staff at the Alice Ferguson Foundation’s Hard Bargain Farm Environmental Center in Accokeek, Maryland saw a growing problem on the shores of the Potomac – trash. Staff at Hard Bargain teamed up with National Colonial Farm to plan a cleanup of Piscataway Park. That year, 150 volunteers removed 3 tons of trash from the Potomac’s shores at two cleanup sites. Since 1989, Alice Ferguson Foundation has mobilized more than 60,000 volunteers, removing more than 3 million tons of trash from the watershed's streams, rivers, and bays. This once small cleanup effort has ballooned into a watershed wide day of service, with many different cleanup events hosted by a variety of organizations and individuals. 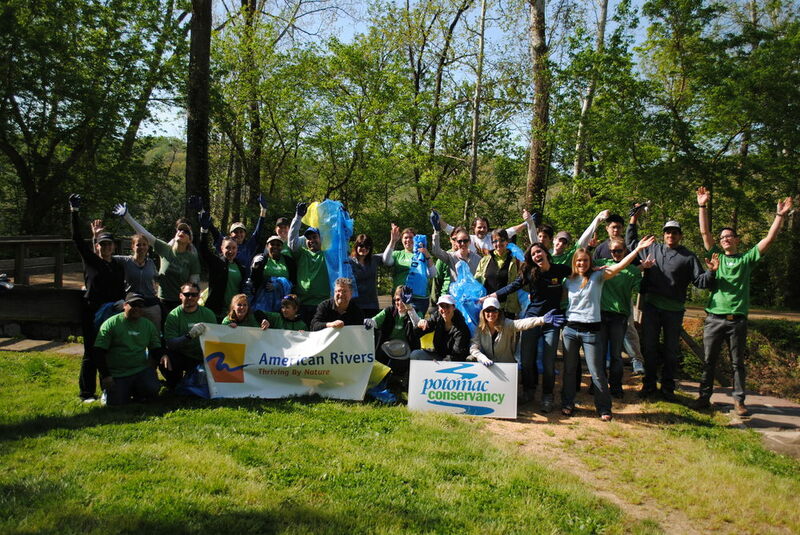 In 2013 alone, 14,586 volunteers at 633 sites throughout Maryland, Virginia, West Virginia, Pennsylvania, and Washington, DC, collected 312 tons of litter from the Potomac watershed.